Four NATO warships have entered the Port of Odessa, according to the Ukrainian Navy. The ships will remain until April 20, as NATO and Ukrainian marines engage in military competitions and peer learning. 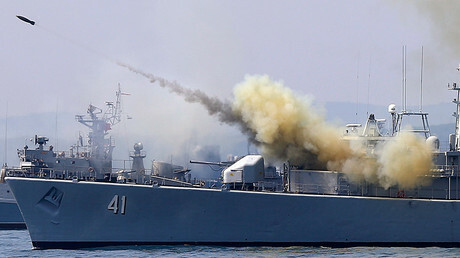 “The ships of NATO’s permanent naval anti-mine group No. 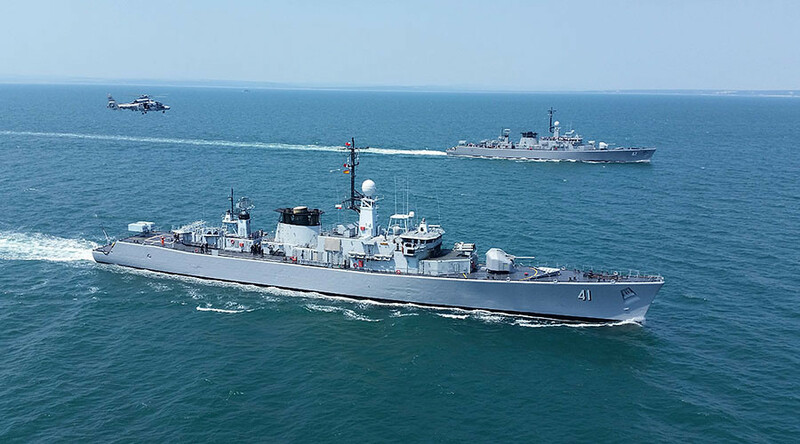 2 (SNMCMG2) have arrived in Odessa for a visit to Ukraine,” the press service of the command of the Ukrainian Navy’s Armed Forces said in a Facebook post on Friday. Among the ships are the Polish ORP KX CZERNICKI command ship and three minesweepers: the Spanish ESPS DUERO, German FGS ROTTWEIL, and Turkish TCG ALANYA. According to the statement from the Ukrainian Navy, the ships will stay in Odessa until April 20. During their visit, the crew and commanders will meet with the command of the Ukrainian Navy, the heads of the Odessa Regional State Administration, and the Odessa City Council. “The program of the visit also includes drills aimed at testing the durability of the ships, visits aboard NATO ships by Ukrainian Navy servicemen and sports competitions between them and the ships’ crew,” the press service stated. Last month, NATO member nations agreed to increase the alliance’s presence in the Black Sea at a ministerial meeting of the bloc on February 16. “We agreed on two additional maritime measures: an increased NATO naval presence in the Black Sea for enhanced training, exercises and situational awareness, and a maritime coordination function for our Standing Naval Forces when operating with other Allied forces in the Black Sea region,” Secretary-General Jens Stoltenberg announced at the time. The Canadian and Spanish vessels also participated in the Romanian-led Sea Shield 2017 drills February 1-10. These involved 16 warships and 10 warplanes, held in the eastern part of the Black Sea, not far from the Russian border. Regarding NATO war games, Russian Defense Minister Sergey Shoigu said Moscow was “watching and monitoring everything that is happening there.” Moscow has repeatedly voiced concerns over NATO’s military activity near its border, including its coast on the Black Sea. The alliance, however, has been deploying extra troops and military assets near Russia following a decision by the bloc’s leaders last summer aimed at deterring alleged Russian aggression. Ukraine is not a NATO member state, but has aspired to become one, with President Petro Poroshenko recently announcing plans to hold a referendum on joining the alliance. 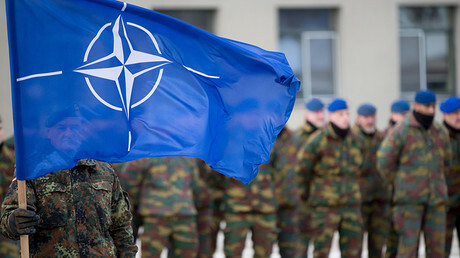 NATO heads, however, including Stoltenberg, repeatedly stated that Ukraine still has a long way to go before it can become part of the alliance.